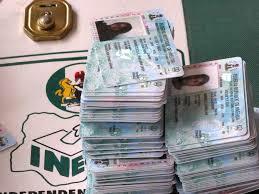 I write to request the authorities to declare a week’s holiday to enable Nigerians go get their Permanent Voter Cards. Many Nigerians are still unable to get their PVCs mostly because the process takes place on work days and hardly at weekends. Events in governance and the speed at which the world is moving should be one reason why we must ensure that the decision-making process must be all-embracing. The other reason is that with as many Nigerians as possible taking part in the election process, we are assured of square pegs in square holes. The Senator representing Lagos Central Senatorial District Senator Oluremi Tinubu has taken up the gauntlet with a call to the Federal government to declare public holidays for Nigerians to pick up their PVCs. Please add your voices to the Senator’s and call for at least a week holidays for Nigerians to go pick up their PVCs. The issues in Nigeria today make this call urgent.